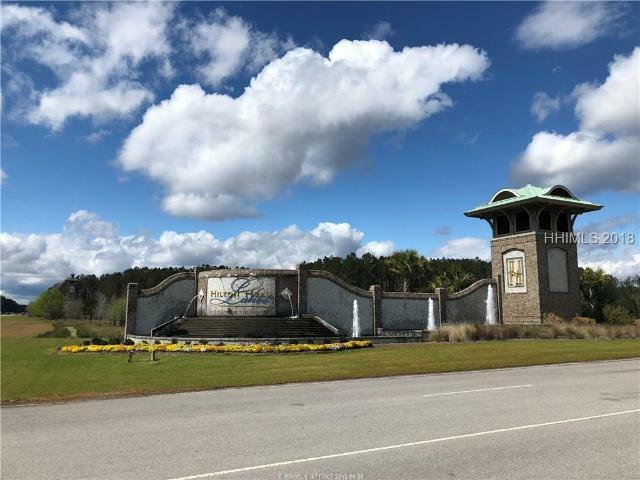 Ready to Move in Calibogue Model home on large homesite overlooking the lake and golf holes 1 and 9 of our 18 hole Tommy Fazio Championship Golf Course. POA/HOA - $139/mo plus $30 for unlimited irrigation water for yard. 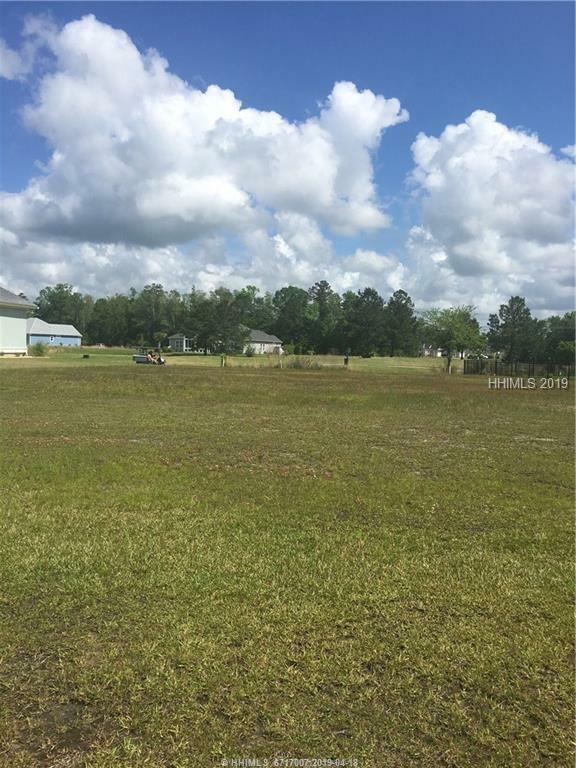 Very Rare, coveted END lot w/ permanent Conservation Easement across back and side. One Level Custom Home, was Builder's Personal residence. Gorgeous Trim detail, Tray Ceilings, Built-ins flank Fireplace, wood/tile floors throughout, NO carpet, Stone accents the Craftsman Style exterior, Screened porch, extensive patio with Fire pit in large back yard, Storage Shed in Back, large 2 car garage, new appliances, Huge Master Closet, Jetted Tub plus shower in Master Bath. Tired of High HOA Fees? Very low fees and Brand New Resort Style amenities, plus access to Tommy Fazio Golf (optional) at discounted rate, Restaurant, Fitness Center, and Gated. SPECIAL FINANCING AVAILABLE. Walk through the 3D interactive tour. A spacious 4-BR home of hard coat stucco & stone. 2-car garage +cart bay. Covered front patio, towering 2-story foyer w/ elegant hardwood floors. Bright eat-in kitchen open to main living area w/ gas fireplace. Stainless steel appliances, gas range, granite, walk-in pantry, expansive center island & adjoining screened back porch. Oversized 1st floor master has walk-in closet, dual vanity, soaking tub & separate shower. Upstairs guest suite includes private loft, 4th BR, 3rd BA & double walk-in closet. Don't miss the new clubhouse & restaurant, new community pool & fitness ctr. 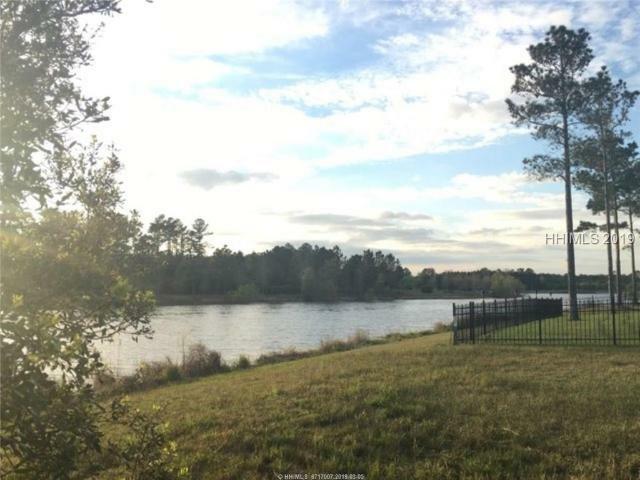 Big Water Views from this Lakefront homesite. Walk to New Clubhouse, Amenity Center, Fitness, Resort/Lap Pool, Pickleball, Restaurant. Social Clubs, events, activities, Hiking Trails, Fantastic Fishing, Gated Community. Natural Gas, City Sewer & Water, Underground Utilities, Fences allowed, Pet Friendly, Motorcycles allowed, Golf Privileges $26-$32/rd at the Tommy Fazio Championship 18 Hole Golf Course includes golf cart. High Elevation so NO Flood Insurance required, LOW HomeownerGÇÖs Insurance. GREAT Location: 3 miles to Hospital, I-95, Publix, Walmart, Pet Smart, USC-B, Car Dealers. 20 minutes to SAV/HHI IntGÇÖl Airport. Sweeping Lakefront View. Scenic lush vistas. Walk to New Clubhouse, Amenity Center, Fitness, Resort/Lap Pool, Pickleball, Restaurant. Social Clubs, Events, Hiking Trails, Fantastic Fishing, Gated Community, Boat/RV Storage. Natural Gas, City Sewer & Water, Underground Utilities, Fences allowed, Pet Friendly, Motorcycles allowed, Golf Privileges $26-$32/rd at the Tommy Fazio Championship 18 Hole Golf Course includes golf cart. High Elevation so NO Flood Insurance required, LOW HomeownerGÇÖs Insurance. GREAT Location: 3 miles to Hospital, I-95, Publix, Walmart, Pet Smart, USC-B, Car Dealers. 20 minutes to SAV/HHI IntGÇÖl Airport. Large homesite overlooking the water and golf course in Hilton Head Lakes. POA/HOA - $139/mo plus $30 for unlimited irrigation water for yard. New amenity center with pool, hot tub, fitness center & pickle ball courts. No food min at clubhouse, NO Working Capital, NO Initiation Fee, NO Transfer Fee.